Nothing's worse than a dead battery—except maybe if you run out of juice while on patrol in the backwoods of Afghanistan. But until now, US forces have had to lug around a huge and heavy charger. Not anymore. Army research has just shrunk a mobile charging station small enough for any soldier to carry on assignment. "There is an increasing need with the networked Soldier for portable power," said Dave Schimmel, a PM SWAR lead engineer. "There is a widening gap between the need for power and the actual availability of that power when the Soldier is in the Tier-1 environment [the most austere environment, such as the remote areas of Afghanistan] so portable power is an absolute requirement." The old charger was state-of-the art when the U.S. Army Research, Development and Engineering Command's communications-electronics center (CERDEC) created it in the 1990s, but was roughly the size of a carry-on bag and weighed so much it had to be mounted on a truck. But technological advances over the past two decades have led CERDEC and its industry partners to develop the Universal Battery Charger. "We're taking that 1990s technology and shrinking it, bringing it into the 21st century," ERDEC CP&I engineer Marc Gietter said. "It will keep up with today's technology." This 6-pound, shoebox-sized charging station "can charge eight batteries and two USB devices at once," Gietter continued. 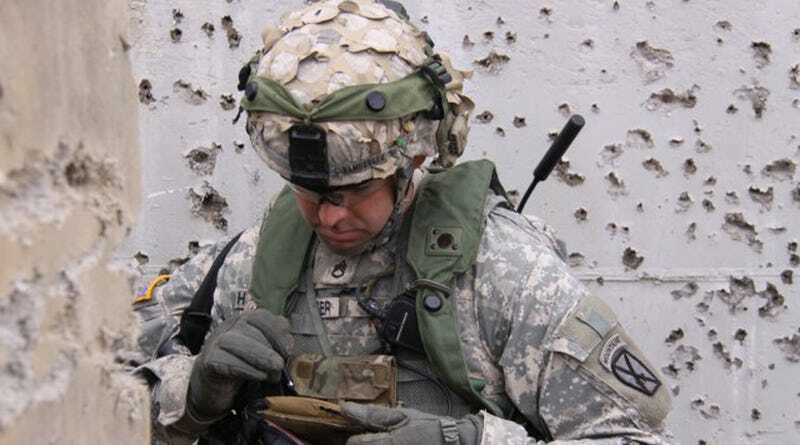 "The USB component is becoming increasingly important as the Soldier moves toward being more connected via a smartphone. It also can charge a morale-boosting device like an iPod." What's more, the UBC will be able to generate a current from virtually any power source—be it a generator, fuel cell, solar array, even a truck's cigarette lighter socket—and simultaneously charge a variety of battery types. The UBC is also sturdy enough to survive harsh battlefield conditions and is impervious to extreme temperatures, rain, sand, and wind. The unit can even be submerged, during say a river fording, and continue working. "The charger will function after being completely submerged in water," Schimmel said. "We don't want them to be carrying a six-pound brick after one of those crossings."